The Parc & Dare Arts Centre project grew from a need to instigate a programme of culturally led regeneration of this part of the Welsh former mining valleys. 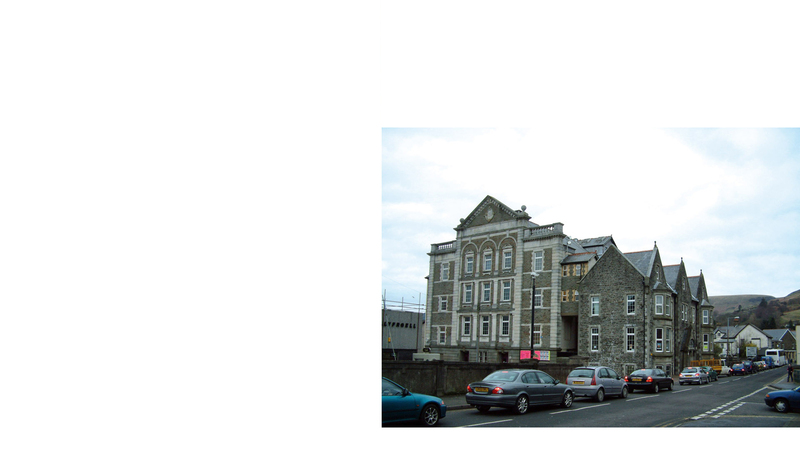 The Grade II* listed Parc and Dare Theatre in the former Rhondda Valley mining town of Treorchy, is formed from two buildings of very different architectural styles. Dating from 1892 (The former Workmen’s Institute) & 1913 (the rock faced ashlar neo-classical 700 seat Parc & Dare Theatre), collectively form the town’s major landmark. The construction of the buildings was funded by subscriptions from the local miners and consequently the Parc & Dare Theatre, named after the two local collieries, has a very strong social and historic connection with the local community. The two buildings are listed Grade II*, and aside from the main auditorium, have been much altered internally. The town plan of Treorchy follows a linear low rise form with the main street running parallel to the River Rhondda, punctuated by occasional east west crossing points. 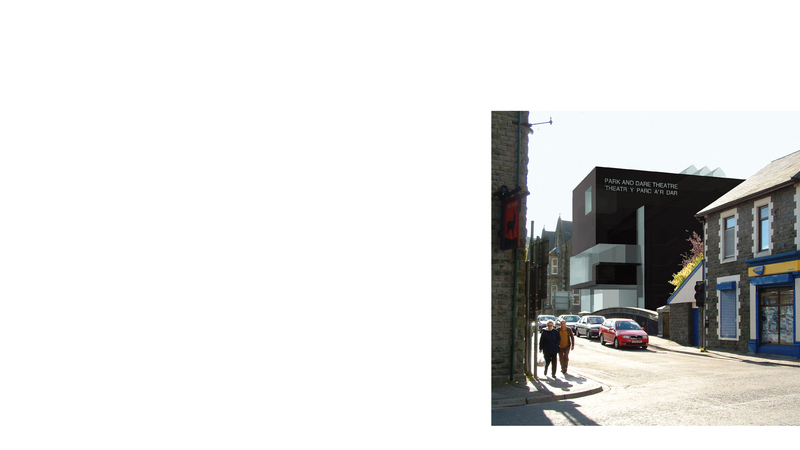 This project proposed the refurbishment of the existing buildings and the addition of a new arts wing to create a multi-valent arts centre. 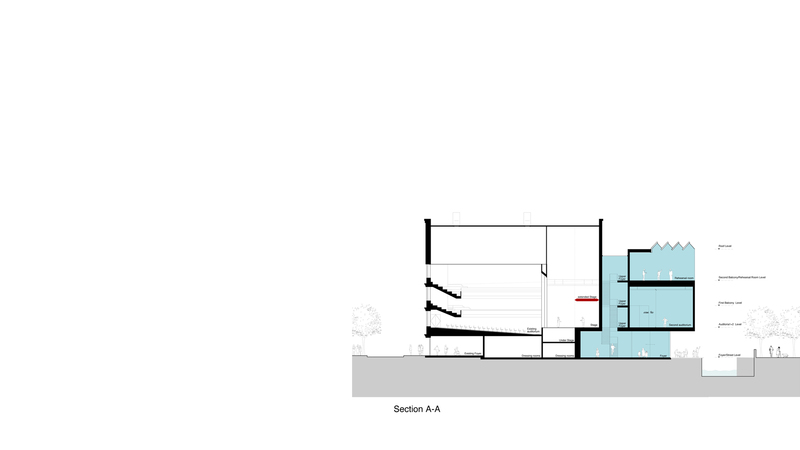 The extension contains a new visual arts gallery, a 150 seat second auditorium space, a rehearsal room, and dance studio, bars, café and foyer spaces. The new build element occupies a dramatic location perched on the river bank alongside the road bridge, creating a new landmark in the townscape. The two existing buildings, although separated by only 20 years in design and construction are fundamentally different in terms of scale, and architectural language. 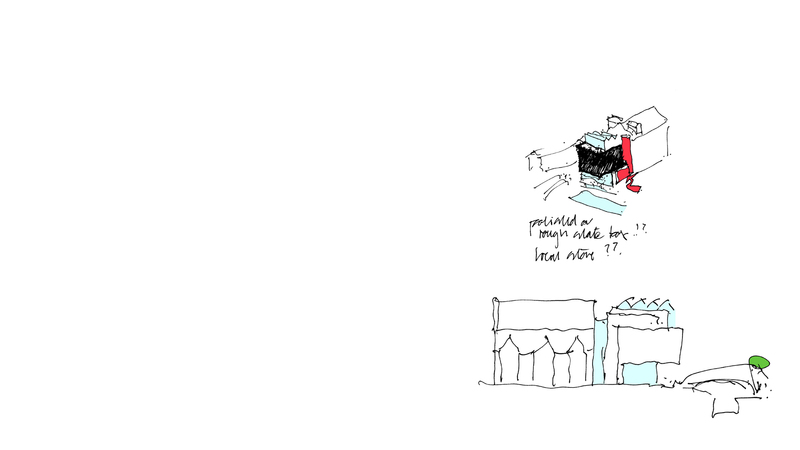 The new work sought to develop that diversity by adding a third architectural component to the ensemble. This new arts wing consists of a simple stack of spaces forming the third element of the tri-partite building composition. 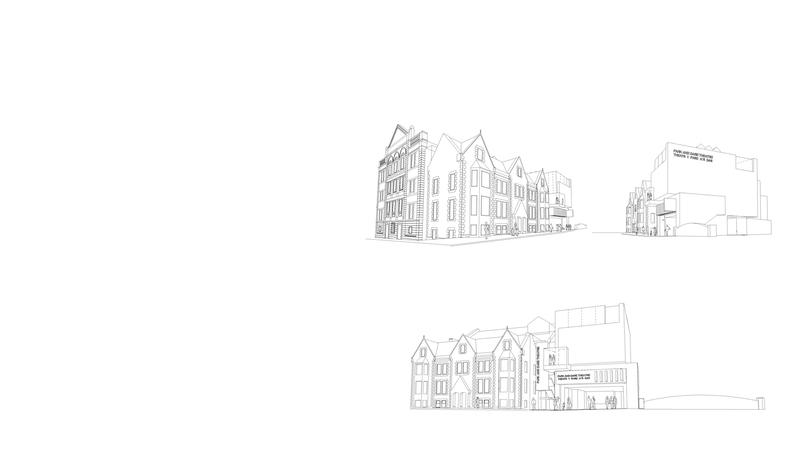 The two existing Parc & Dare buildings were separated by a service yard and alleyway between them, which was used in the project to create a light glazed slot containing a multi-storey circulation spine connecting the existing theatre to the new arts wing. The side walls of the slot were to be restored only where essential, leaving behind the scars of the removed structures, thereby revealing the past history of the building. The design strategy seeks to preserve and re-invigorate the Parc & Dare for future generations whilst adding a vibrant new set of opportunities for artistic endeavours, for the town, the region and beyond.